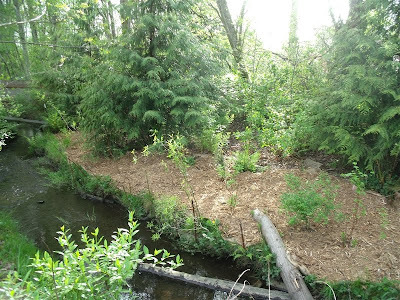 Little Swamp Creek: Stream-side Planting - Done! 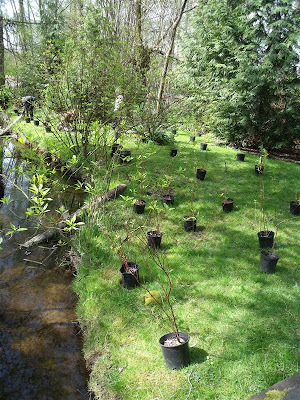 We had a beautiful day for phase two of the planting of the section of Little Swamp Creek that passes through our yard. 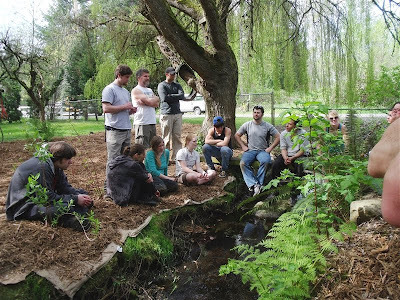 This planting event took place in the area all along the west side of the creek. 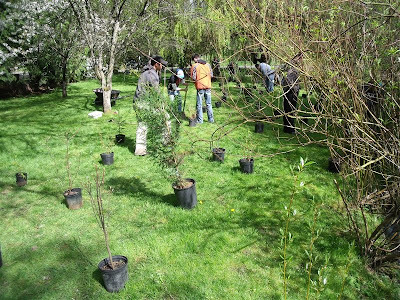 The majority of the plants for the project were dropped of early in the morning on planting day. 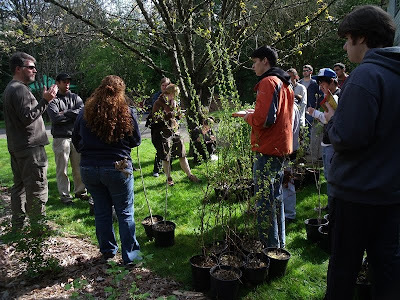 The plants are all Northwest natives that came from Bush's Nursery outside of Arlington. Adopt-A-Stream provided some plants from their own supply, too. 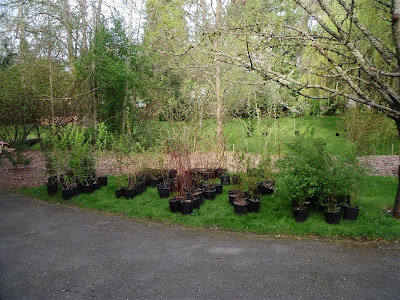 The plants from Bush's Nursery and the mulch for this project were purchased with money from a 2-year grant awarded by the Washington Department of Ecology and the National Fish and Wildlife Foundation to improve the quality of Swamp Creek. The boxes and burlap bags used as weed barrier under the mulch were donated by Cascade Coffee. 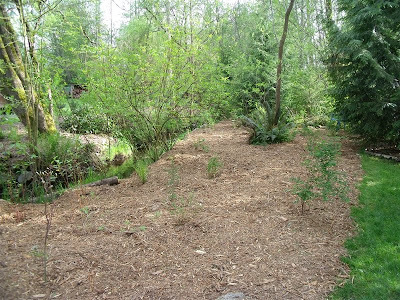 I can tell you from our experience with the planting done on the east side of the stream last spring that this combination of cardboard, burlap bags and several inches of wood chips does an excellent job of covering up/getting rid of the lawn. Everyone helped carry over and arrange the plants in the planting area, and then the hard work began. Thank you sooo much to everyone who worked on this project! 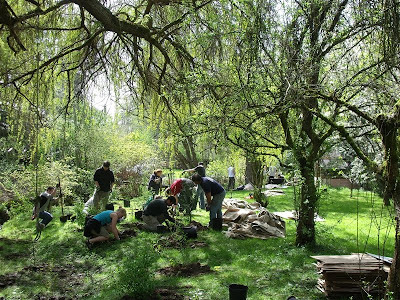 It is was an amazing thing to be involved in, and we are so lucky to have been able to take part in this kind of restoration in our very own yard. 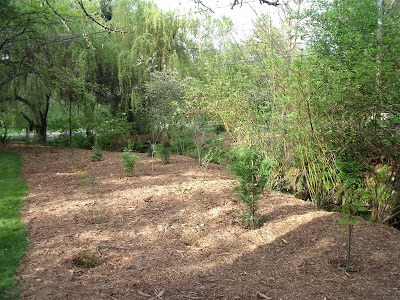 I'm happy that we will be able to share the growth and evolution of the restored area on this blog.